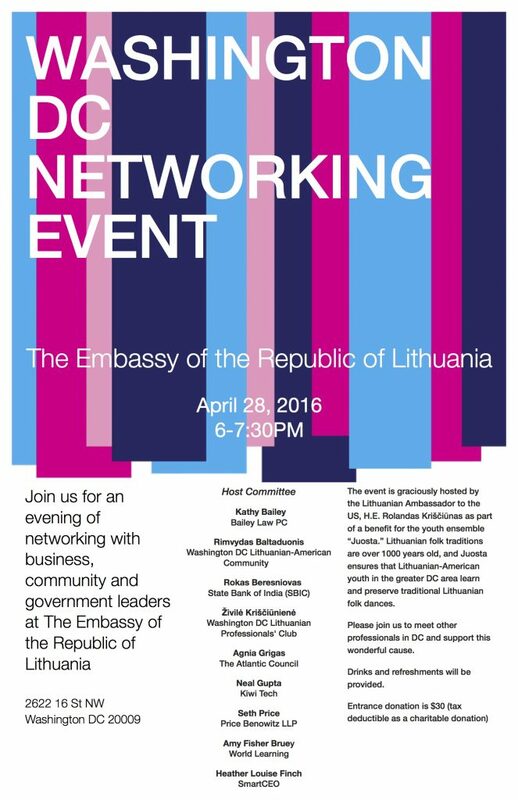 The event is graciously hosted by the Lithuanian Ambassador to the US, H.E. Rolandas Kriš?i?nas as part of a benefit for the youth ensemble “Juosta.” Lithuanian folk traditions are over 1000 years old, and Juosta ensures that Lithuanian-American youth in the greater DC area learn and preserve traditional Lithuanian folk dances. Please join us to meet other professionals in DC and support this wonderful cause.